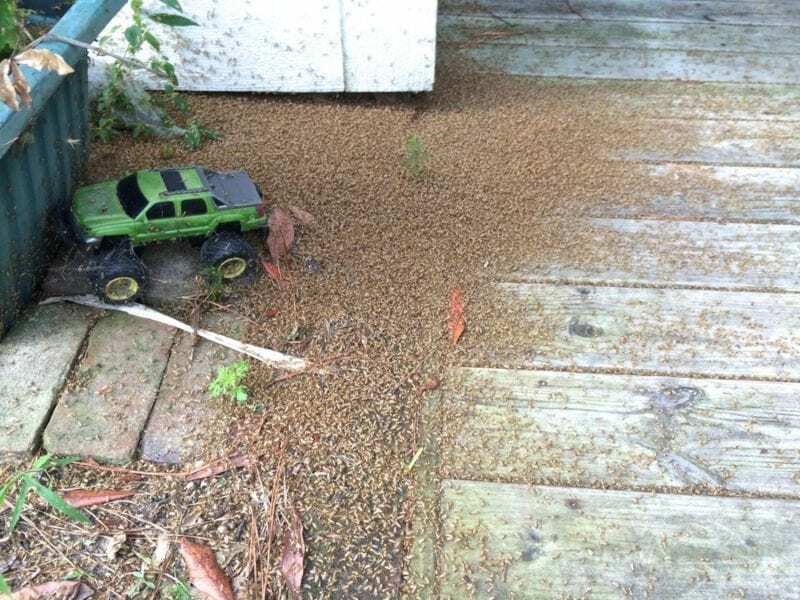 Swarming bugs known as “fuzzy bills” or “blind mosquitoes” have showed up as unwanted guests in some regions of the Outer Banks, and residents and tourists have been closing doors, turning off lights and doing whatever it takes to keep them at bay. But regardless of the measures, they are making some people downright miserable, and Dare County Vector Control Supervisor Carl Walker is hearing all about it. “I’ve received about 25 calls this week alone,” Walker said Friday, adding that in his more than 10 years as supervisor he’s never seen such an infestation. Called midges, they are common around coastal areas but don’t bite or carry disease. “I’ve had people tell me they have had to scoop buckets of these out of pools and others said they are so thick that they couldn’t go outside and that they were breathing them in,” Walker said. He said the majority of complaints have been from Southern Shores, Kitty Hawk and Kill Devil Hills, particularly from west-side neighborhoods. Walker added that the midges apparently haven’t been as much of a nuisance in Nags Head and further south and he wasn’t sure why. Walker also said he’s heard the insects are not only bugging people out locally, but across the state as well. One vacationer reported that the midges attacked their rental home every night beginning around 8 p.m.
“We can’t even go outside and enjoy the outdoor decking at night and have to vacuum up hundreds of these pests if we open the door just for a brief second to get something from outside,” the vacationer wrote in a comment on the Voice. While some restaurants with outdoor seating have struggled with the recent infestation, Randolph Sprinkle, co-owner of Salt Box Café on Colington Road, said he has been lucky because the cafés has a screened-in porch. Along with his “fuzzy bill tactics,” the somewhat cooler and windier weather has seemed to help thin out the swarms, he said. Despite their annoyance to humans, midges do serve a purpose in aquatic environments, providing an important food source for fish and predatory aquatic insects. Larvae help clean the aquatic environment by consuming and recycling organic debris. 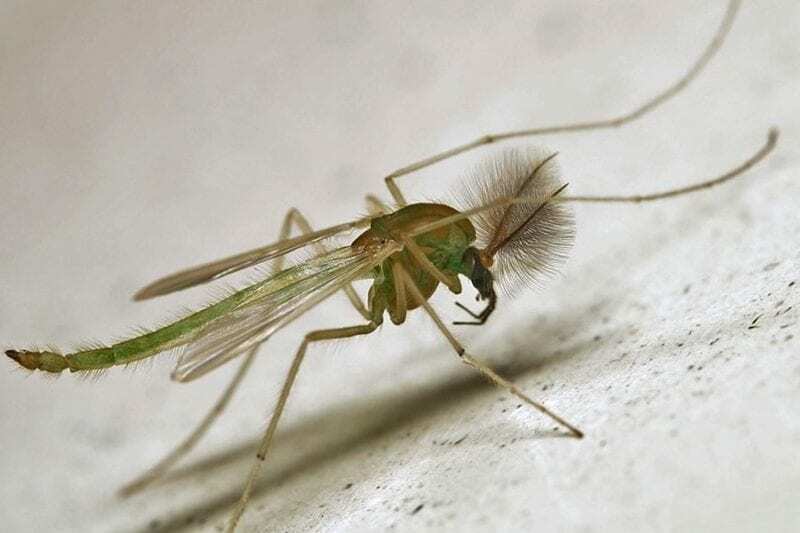 Due to their weak flying ability, midges can be blown ashore and become so intense they stain walls, cars and other surfaces, according to information provided by North Carolina Cooperative Extension. Adult midges are attracted to high intensity white light. The extension center recommends keeping window blinds closed and porch and flood lights off during heavy emergence periods and at night. “Strategically placed high intensity white lights may divert midges away from populated areas,” according to the literature. Electrocution traps may also be effective, however one trap would likely not be enough to kill a sufficient number of adults to reduce nuisance populations. Walker seemed as stumped about solutions to the midge problem as residents do, but said he has recommended to a few callers to contact local pest control businesses. According to the extension center, adulticides can be applied in the air as ultra low volume sprays or to wall surfaces or vegetation where midge adults rest. “The use of insecticides against adults should be expected to achieve temporary control during heavy emergence periods because treated areas are rapidly repopulated by midges flying in from outside the treatment zone. The literature also stated that applying residual insecticides to porch alcoves, carports and under the eaves of houses should minimize the establishment of spiders, which are known to increase during outbreaks of midges. As for the other flying nuisances of the Outer Banks, Walker said mosquito populations have been manageable this summer and he attributes reduced numbers to aggressive larvicide measures taken during the spring. “I’ll be lucky to get one call a day about mosquitos,” he said.